We at DFC love it when science turns to our animal friends for answers to human problems. It keeps everything in perspective, reminding us that, after all, humans are animals too! Now, researchers are looking to the elegant slug for insight into a new type of surgical adhesive. As we learned when looking into the adhesive properties of the octopus tentacle current adhesives are sometimes hard to stick to wet and/or irregularly shaped organs. But slugs are experts at creating mucus that keeps them stuck to all kinds of things. 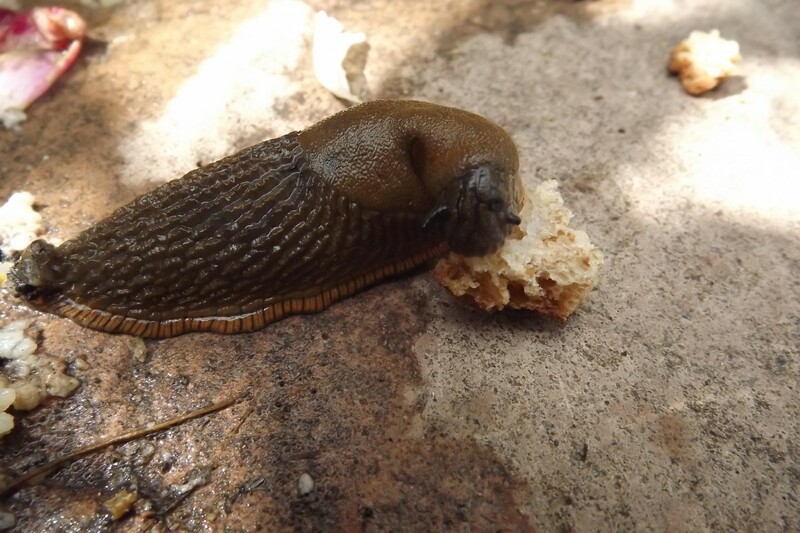 A team out of Harvard has just published a paper in Science, building on a previous analysis of the mucus of Arion subfuscus, a slug common in Western Europe. The mucus has two key parts: polycations that create the physical bond between mucus and surface, and a matrix that can process stresses on that bond. The Harvard team, led by David J. Mooney, sought to replicate these two factors with artificial materials. “[The] team created a stress-dissipating matrix from cross-linked polymers, polyacrylamide, and alginate. The researchers then coated the matrix with the polycation chitosan, which inserts itself into the matrix and produces an adhesive surface. The field is particularly excited by this adhesive’s success with closing wounds on the liver, a notoriously finicky organ to repair. Further development and testing will occur — slow and steady may yet win this race for medical achievement!